As part of my ‘Harvard’ week in London, I went along to the outreach event in London yesterday evening. It was introduced by a senior member of Morgan Stanley, a former HBS alum, who had loaned out their auditorium in their Canary Wharf HQ for the evening presentation. A powerful demonstration of the connections of HBS! The content of the presentation was typical with many other similar schools’ presentations. I’d seen most of the content before (the relevant links are found here: http://www.hbs.edu/mba/admissions/Pages/webinars.aspx), although there was some tailored content based on the European audience related to the careers service demonstrating the worldwide reach of the school and future destinations of students. As ever with this format, the emphasis on certain points was more revealing than the content: what do HBS think they do really well and why? FIELD (Field Immersion Experiences for Leadership Development – yes I had to look that up. Required experiential course) is a new addition, and something they obviously think is a good step forward. Interesting to hear this came from feedback from employers – that students were very analytically minded, well polished, but lacked team-working and execution skills.This is a more hands-on approach to consolidate learning from the case method. Most final projects at the end of the first year are for program partners and take place around the world depending on preference. Many schools are incorporating ‘experential learning’ now in some form but it does seem the global reputation and connections of the top schools increases the chances on working on something really up to date and of real value. Residential Campus – HBS is quite unique in that 80% of its students have accomodation in some form on campus. ‘Living where you learn’ is how they put it. Creates a closed community feel that may be hard to replicate in other schools of similar size. 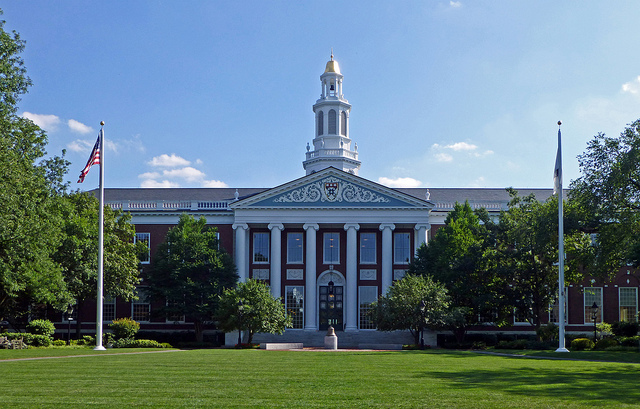 I’m not going to mention the obvious external benefits of the HBS brand – it’s clear that they do shy away from this a little. I’m sure they get many applications chasing HBS just for this reason and want to sell some genuine benefits as well. There were further discussions of the careers service, the diversity of the program but if I had to pick just a few points it would be these. As well as this there was a useful short presentation from the ‘British Friends of Harvard’ for background on scholarships and how it worked with the Fulbright program. The Alumni panel was relatively small, only four but all were recent grads. They seemed a little hesistant at first to answer questions fully (possibly a little nervous to give the wrong impression – a bit of a sore point at the moment, see later) but soon got into their stride. All spoke enthusiastically about their classmates, their methods and provided a bit of perspective on HBS’s highly competitive reputation – “the first few months a few people have something to prove, that they’re the best, but once this calms down and the school puts their feet back on the ground it’s no different from what you’d find out….in the real world!”. It’s clear that Harvard has had some well documented dirty laundry aired in public recently, via the NY Times (http://www.nytimes.com/2013/09/08/education/harvard-case-study-gender-equity.html). Read with caution, and maybe a pinch of salt? Personally, it doesn’t surprise me issues like this exist in some (possibly less-exagerated form) and I’m reassured they’re making concrete steps to tackle them. Having read the article, I felt a slight tension in the air whenever a topic ventured near this sort of area. I’m not sure everyone in the room had read the article but there was certainly a slight ‘elephant in the room’. 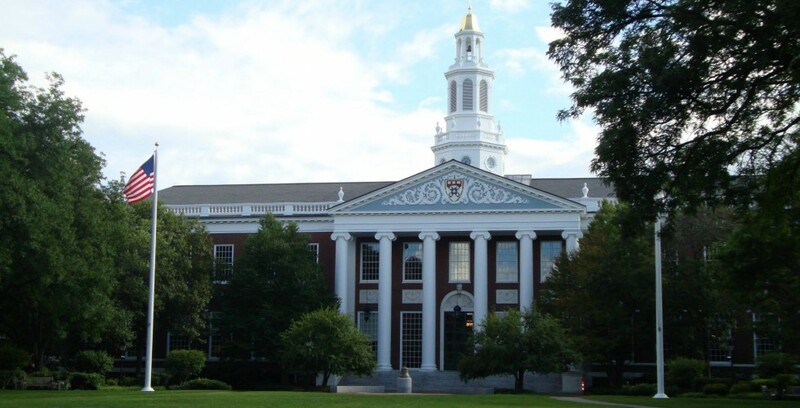 The HBS team did mention a few times recent changes, related to the FIELD course and incoming class profile, and proudly pointed out they had over 40% women in the incoming class. My interview is this afternoon. From my point of view, Harvard seems to me to not just be resting on its laurels and reputation. It is a place that is changing for the better, modernising, and I feel the negative publicity they’ve had is probably typical media hyperbole looking to bring down an institution at the top of its area of expertise. I won’t think twice should I be lucky enough to get an offer of admission.